22x10.5 rims MRR Design GT-1 black gloss w/ machined wheels for your vehicle. 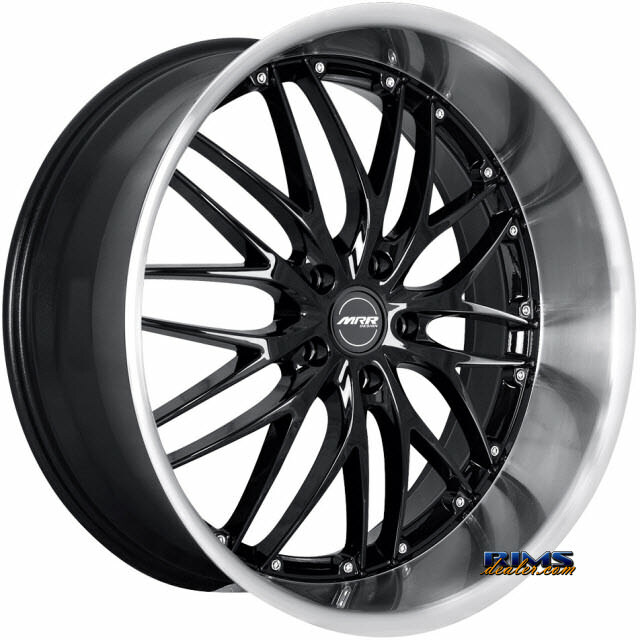 Add 22x10.5 wheels MRR Design GT-1 black gloss w/ machined rims to your shopping cart. (*) Prices vary depending on vehicle. Select vehicle to get exact price. Price in US Dollars. Minimum order 4 rims (no exceptions). About MRR Design GT-1 : RimsDealer Discounted for wheels and tire prices on quality custom rims and high performance tires has always been our signature and edge over our competitors, In order to help you asses the appropriate price for custom wheels and tires please read the following explanation on wheel and tire pricing, The price of the MRR Design GT-1 ranges from $500.00 for 22 inch wheels in a black gloss w/ machined color, to $500.00 for 22 inch wheels in black gloss w/ machined color. The pricing of the wheel is defined mainly by the diameter and color, or finish, of the wheel. A 26 inch wheel is more expensive then a 20 inch rim because it uses more aluminum and it is also more rare because it fits less vehicle applications. Chrome wheels are always more expensive then painted wheels because of the expensive process of chroming. Laslty, the construction of a wheel also affects the price. Forged wheels are more expensive then cast wheels. And modular, or multi-piece wheels, are more expensive then cast wheels that are one-piece because multi-piece wheels require extra equipment and accessories to built them, and they are also custom made for each application. RimsDealer carries a large inventory of discount wheels and tires at the lowest prices. Find top brand wheels and rims at wholesale prices plus free shipping* on all orders. Save up to 50 % in discount rims, wheels and tires. The color of a wheel usually pertains to the face, or center, of the wheel. Sometimes, the wheel will also have lip, or edge, of the wheel painted the same color as the face of the rims. Custom Wheels come available in a variety of wheel colors to help you match the style and look you desire for your vehicle. If you are into high performance street racing then you might want to check out black rims, grey rims or gunmetal rims or if you want to stand out in the streets then look at our chrome wheels, polished wheels combos. RimsDealer aftermarket wheels and custom rims colors will sure offer something for you particular wheel style. The MRR Design GT-1 is manufactured by MRR Design. RimsDealer carries the most popular brands on custom wheels and high performance tires. Browse through our popular wheels inventory and find great prices on top wheel brands such as Tenzo, Giovanna, Enkei, R-1, Cabo, 5-Zigen, among many others wheels brands. RimsDealer.com your number one source for discount quality custom wheel, rims and tires. The MRR Design GT-1 is available in size(s) 22x10.5 , 22x10.5 , 22x10.5 , 22x10.5 , 22x10.5 , 22x10.5 , 22x10.5 , 22x10.5 , 22x10.5 , 22x10.5 , 22x10.5 , 22x10.5 , 22x10.5 , 22x10.5 , 22x10.5 and 22x10.5 , RimsDealer Wheels and Rims comes in a variety of wheel sizes according to each car make and year. In order to better understand the rim size that better fits your car here is a brief explanation on wheel rims and tires dimensions. The first number in this size is the diameter of the wheel, also known as the rim. Tire and wheel diameters are designed to match. For example, a tire with a diameter of 22 inches will fit a wheel with a diameter of 22 inches. The second number is the size is the overall width of the wheel or rim. The width of the wheel is measured across the widest point of the wheel's edge or lip. The wheel style of the MRR Design GT-1 is listed as 'Mesh / Web' or ''. This style classification is created by RimsDealer.com Technical Wheel Experts to help you find the wheel style you like best. Some wheels can have two styles because they have newer designs that do not fit the traditional wheel designs. Wheel Styles define the look of the car or truck by giving a special look and experiencce to the driver behind the wheel. Shop and browse our wheels styles from 3 spoke, 5 spoke, 6 spoke, 7 spoke, 8 spoke or full face rims. Pricing starting from: $500.00 (ea). 5 stars, based on 28 customer reviews.